I haven’t written anything here since last fall, almost six months ago. 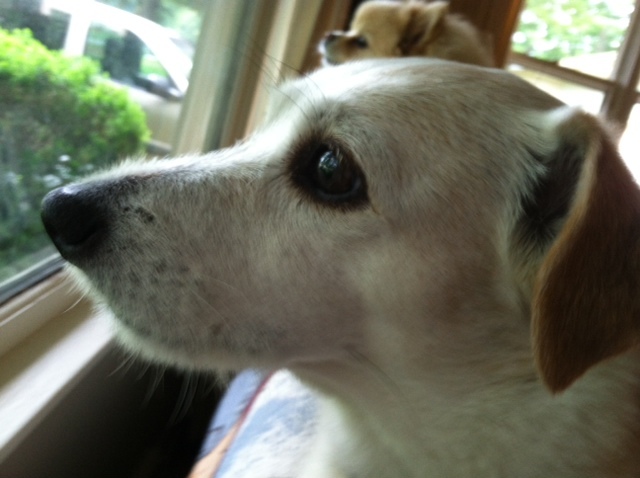 It was about that time that we learned our beloved Jack Russell Terrier, for whom The Zeke Chronicles was named, had congestive heart failure. Zeke was only 11 years old, which for a small dog isn’t all that old, but he’d had a heart murmur for a few years. It never seemed to cause him any problem….until one day it did. Like with ourselves, we often take our pet’s health for granted and we expect everything to be fine…until one day it isn’t. After that one day, things are never the same and you begin a new routine of pet care. There were tests done, medicines prescribed, and diet changes made (much like you have to do with anybody with heart disease), and you hope it will make a difference. It did, for a little while, but then the inevitable began to happen. I will admit I was totally in denial that my dog wasn’t going to live much longer. I was certain that if I made his food, gave him his meds regularly, and monitored him like a hawk, he would be fine for a long time. Even when my vet said that I needed to prepare myself, I still believed Zeke would be with us yet for some time. That was not to be, and one month ago today, Zeke left us for the Rainbow Bridge, the place where pets go to await their masters’ arrival. It is still hard to believe he’s gone, because the house was always so alive when he was here. Zeke was a happy little dog who lived life to the fullest right up to the end. I have to admire that he didn’t let his illness get him down and was ready to chase the wildlife from our yard even on the days when he shouldn’t have been dashing around like a maniac. He taught me what it means to enjoy the journey as well as the destination and to always be ready for life’s next adventure. And he gave me many stories to tell for my column, The Pet Corner, and for the Zeke Chronicles. Because I was not the only one who loved Zeke and misses him every day, I offer the following written by his walking companion of many years. Who would have thought! That September evening in 2002 at “Farmer Joe’s” homestead in Nappanee, IN that a roly poly filthy dirty little Jack Russell puppy living in a dairy barn would mold and shape our lives to meet his needs. This was the day that Ezekiel Kubash was adopted into our family. He was only a dog. Yes he was a dog, but he was also so much more. He was a greeter. We were always greeted whenever we entered the house with a joyful dog his tail wagging and him jumping up and down like a pogo stick. Then he became a hunter when he wanted to go out to chase away the squirrels, birds, gophers etc and maybe even go potty. After dinner he became the physical trainer, as he would jump around my chair until I would get up and take him for a walk either around the neighborhood or for a special treat we would walk in town along the bluff. Next it was dinner time for us and he became a panhandler looking for a handout. If he’d collected money instead of food scraps we probably would have had more than enough to retire years ago. He also visited Grandma when she was in two different nursing homes and even visited her in the hospital after a stroke. Occasionally the word “go” would slip out and he was ready. Be it a car ride to town to walk or a trip up north, he definitely had to be included. But most of all he was our “Best Friend Forever”. He took a piece of our hearts with him but we will remember him always. Rest In Peace “Little Buddy”, Ezekiel “Zeke” Kubash, June 12, 2002 – February 28, 2014.